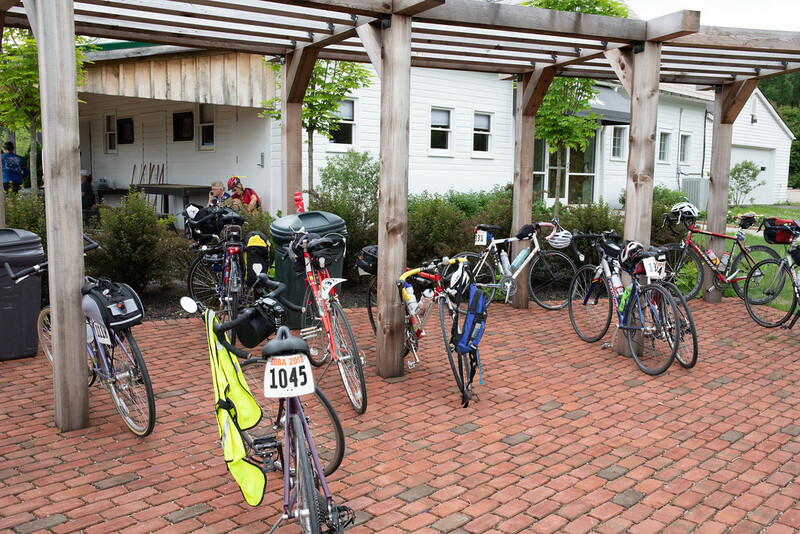 GOBA riders are welcome to take advantage of alternative lodging options, such as hotels and B&Bs in our host communities, at your own expense. Any costs associated with the following options are at your own expense. In addition to doing a hotel search in the Internet, we highly recommend you contact each of the local visitors bureaus for the latest on lodging availability, including hotels and B&Bs. Be sure to ask them the distance to the campground. We make no claims about the quality of these establishments. Most rooms are gone by early spring, even earlier in towns with very limited beds. We suggest you ask for written confirmation or a confirmation number and reconfirm these reservations before the tour. You must make your own reservations and your own arrangements to get to and from these properties; GOBA will deliver your baggage in large luggage trucks to the designated campgrounds, but not beyond. Be sure to mention to the motel that you are with GOBA. You may ask these motels if they have a baggage shuttle service available. In order to get their necessities to their motel or other lodging, many riders bring a small pannier or backpack. Each day, they take just what they will need for the night from their larger bag and leave this bag in the campgrounds with a friend. They then can ride to their motel with a light load. In the morning, they ride with the pannier back to camp and load the overnight things back in the larger bag, put it on the truck, and are ready to go. Hotels are not normally on the free bus shuttle route in each overnight community; however we hope to announce plans by May for a service that will shuttle you and your bike to an from off-site lodging. Several hotels in the GOBA overnight towns are offering discounts to riders. Call the hotel directly and ask for the GOBA discount. Most properties limit the number of rooms available for the discount and have a reservation deadline. The GOBA town committees have arranged the following discounts (prices do not include taxes). Click on the hotel name for a link to its website. Hampton Inn, $112; 419-724-3333. To see a flyer, click here. Holiday Inn Express, $109 (standard double queen or standard king); 419-691-8800. To see a flyer, click here. TownePlace Suites, $139 king suite or $149 two-queen suite (June 1 deadline); 419-724-0044. To see a flyer, click here. Floor sleeping may be very limited, since stringent fire regulations limit the facilities that can offer this. All space is first-come, first-served and requires a payment. Local nonprofit groups secure the facilities and the fee you pay goes entirely to them. Some may take reservations and payment through the GOBA website, and others may not. BOWLING GREEN – The local committee is seeking a group to offer floor space in a building at the fairgrounds. Check back for updates. FREMONT – Air-conditioned sleeping will be offered for $20 on Sunday night in the Neeley Conference Center at Terra State. Click here to sign up under GOBA add-ons. PORT CLINTON – The local committee is seeking a group to offer floor space in a gym at the high school or adjacent middle school. Check back for updates. OREGON – Floor sleeping will be available for $20 for two nights ($10 per night) in the gym at Clay High School. Click here to sign up under GOBA add-ons.